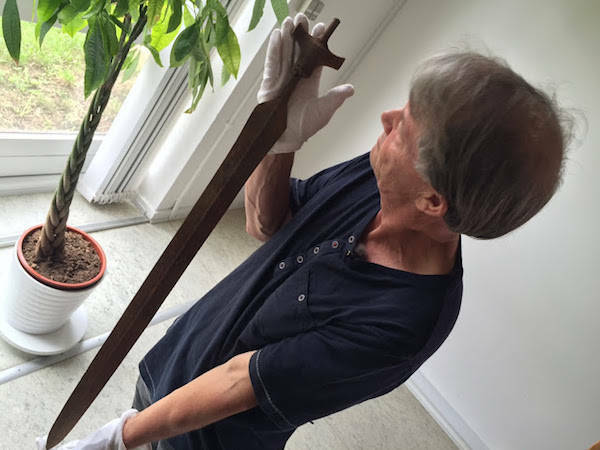 Museum inspector Arne Hedegaard Andersen holds the discovery. 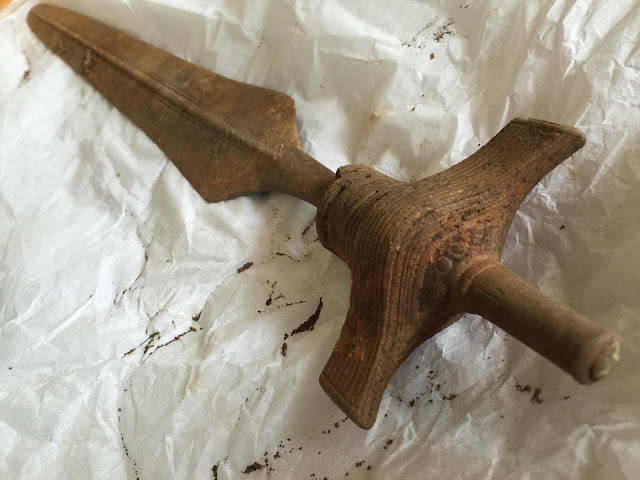 The visible decorations on the hilt of the sword. 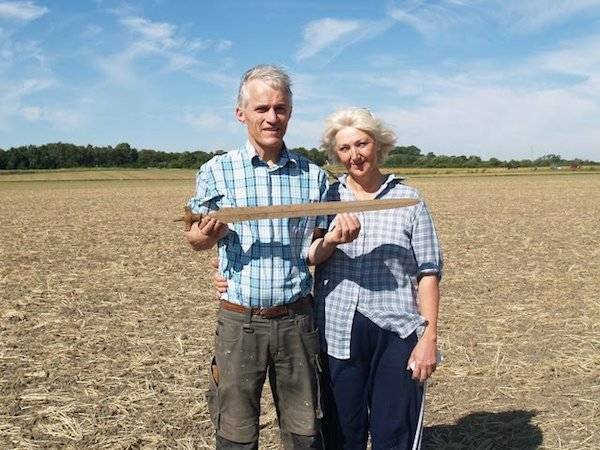 Ernst Christiansen and Lise Therkildsen with the Bronze Age sword.